HRH The Princess Royal visited RAF Brize Norton as the Squadron celebrated its centenary in fine style. the Cold War and other more recent campaigns to take part in the event. The Parade was held on the tarmac adjacent to the Voyager Hub, and once our members were seated alongside previous Squadron Commanders and other VIP’s, the proceedings opened with a flypast of the BBMF Lancaster. 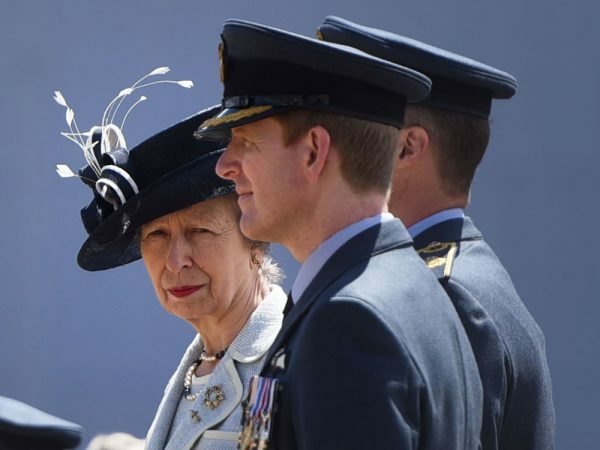 Watched by Princess Anne, the Squadron and band put on a fine display, and she said “It is extraordinary to be able to celebrate this centenary on the same day the Squadron was formed in 1917”. She went on to talk about the places across the globe where the Squadron have served during the past 100 years, and joked “It is appropriate we shall remember what the squadron’s history contains- or some of what it contains, otherwise we could be here for some time”. 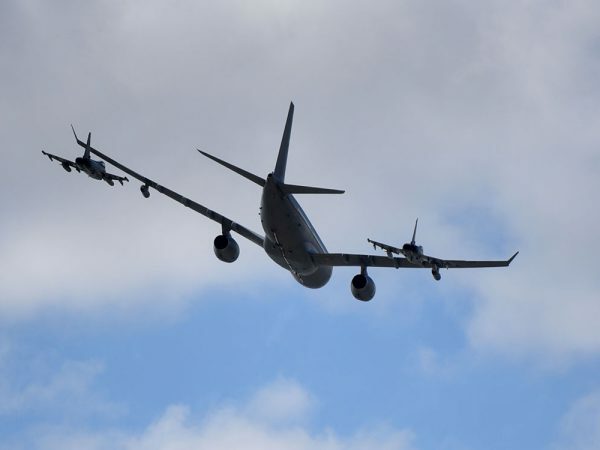 The parade was closed appropriately by a closed formation flypast of the Voyager, flanked by two Typhoons. 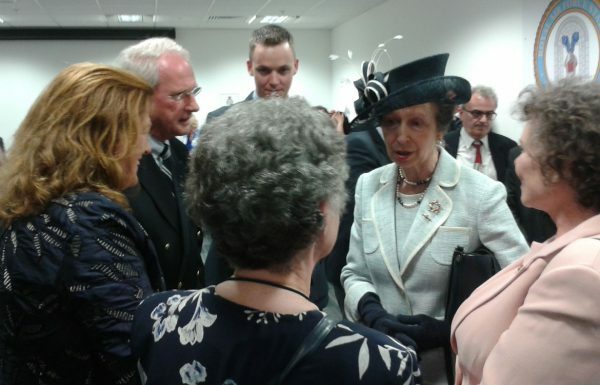 Everyone then proceeded to the Hub building to enjoy a buffet lunch, where we all had an opportunity to meet and chat briefly with Princess Anne. 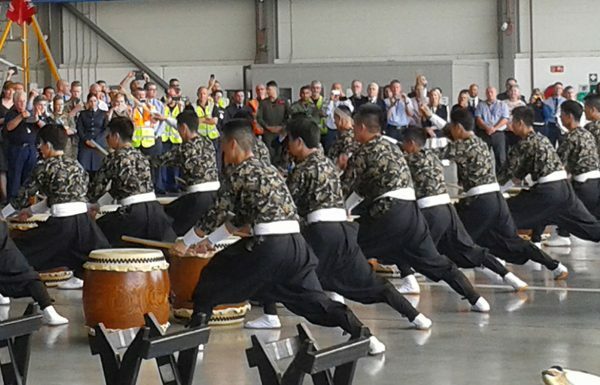 To round off the afternoon, the Koku-Jieitai Japan Air Self Defense Force gave a loud and dynamic traditional drumming display. Ex-Association Secretary Al Greethurst, who had served as a navigator 1946-47 and 1957-62, summed it up- “Coming here, it’s as if I had never left. The training is such that you feel exactly the same as the kids flying for them now”. More images can be viewed in the 101 Squadron Association gallery. Parade images supplied free by Richard Cave Photography, lunch and band images by Paul Taylor.